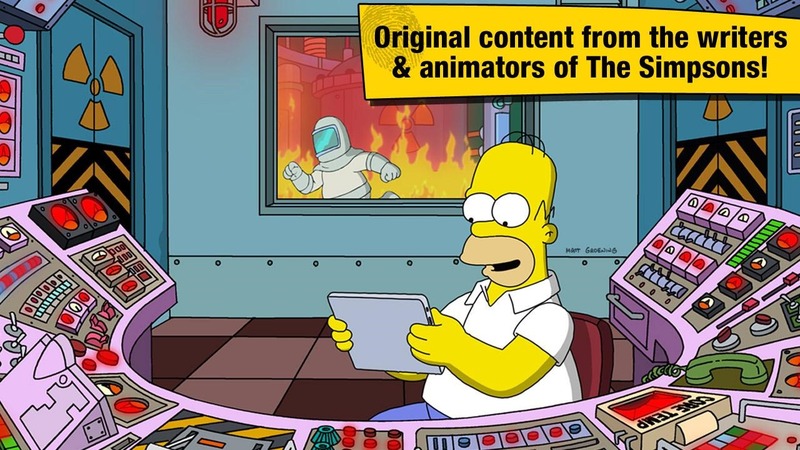 The gist is that Homer has, through the fault of free games with in-app purchases, destroyed Springfield in a nuclear blast. 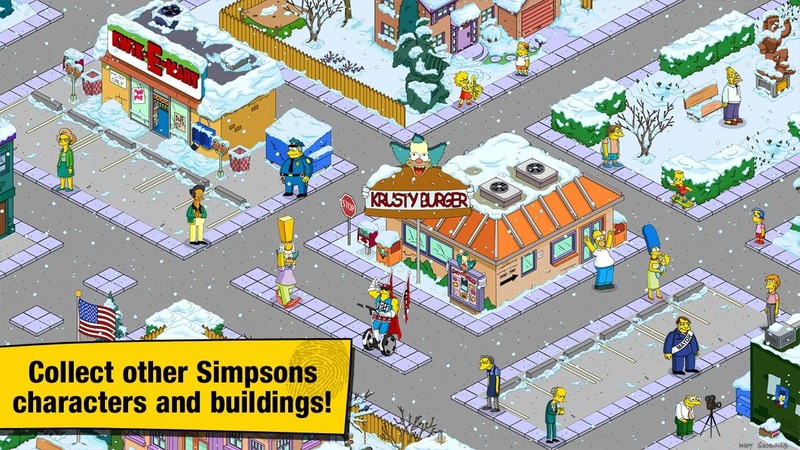 You're in charge of re-assembling the town and finding its residents, all of whom are voiced by the original voice actors. 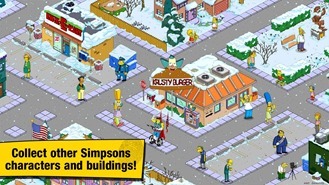 The game is interspersed with bite-sized snippets of Simpsons animation, most of it lampooning mobile gaming in general. 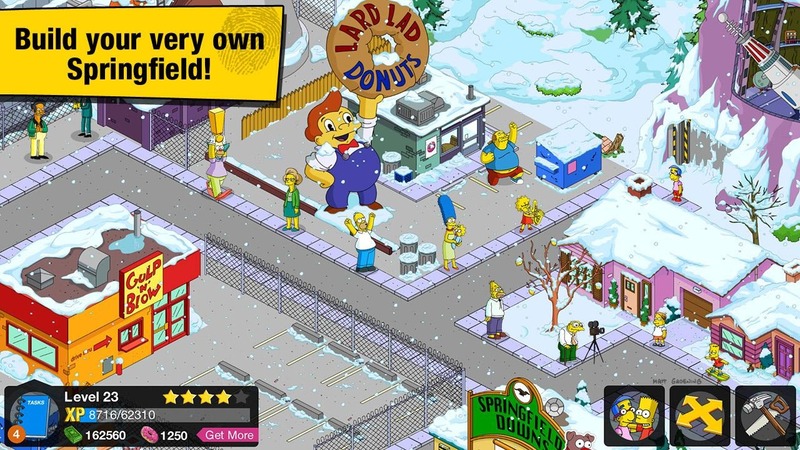 Note that while the opening cinematic highlights the ridiculous nature of in-app purchases, you can still spend ungodly amounts of money on the "donut" in-game currency. 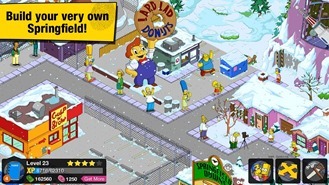 The Simpsons: Tapped Out is currently available to EA's "Rest Of World" region, which usually means everywhere the Google Play Store works except North America. 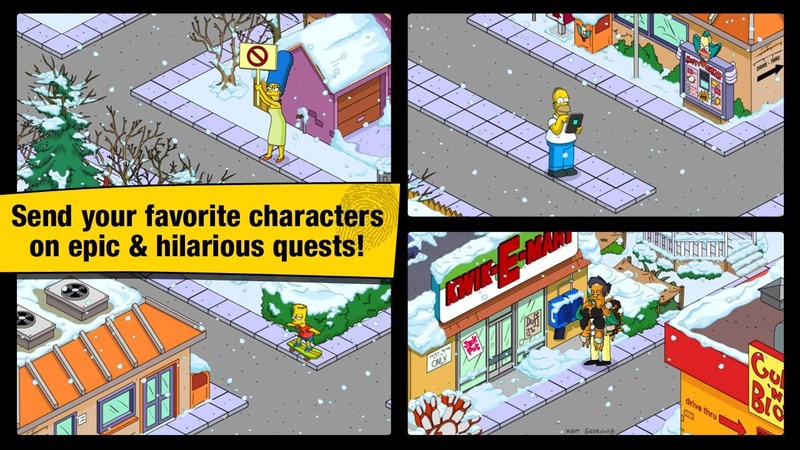 That's a bit strange, since the iPad version of the game has been available in the US for a year. I'd expect to see a US release sooner rather than later. 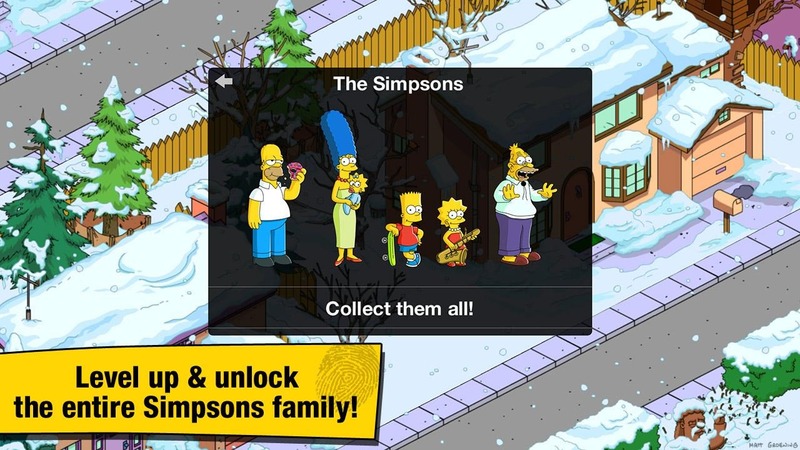 Update: It looks like Android users all over the world are being denied access to the game at present. If you've managed to download it, please drop us a line in the comments with your location and device.